Олександра Шевченко: Рогатому в пику! This entry was posted in UA and tagged блог on May 11, 2011 by FEMEN. 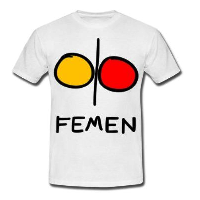 This entry was posted in EN on May 5, 2011 by FEMEN.